How to configure addon domains in the best way for seo? An addon domain is a related domain which share the same server as primary domain but might have a connotation of being a separate site. Instead of developing sites separately it would be better to make a 301 redirect to your site. Or you can register different domains and develop them with different content. If there is little difference between domains people tend to believe that content on them is somehow related and it’s better to make a permanent redirect or to make them completely different. Well, first off, let’s talk about what addon domains are because a lot of people haven’t heard that term before. 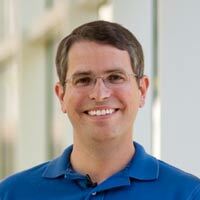 Suppose I have the site, mattcutts.com. An addon domain might be something that your web host would offer you where it’s basically related, maybe it’s, you know, all part of the package deal where you can get mat-cuts.com. And typically, an addon domain might have a connotation of being a separate site. So let’s talk through this a little bit. Suppose you have, for example, I have mattcuts.com. Maybe I also want to register a matt-cuts.com. My personal advice would be rather than developing those as separate sites, I would actually make matt-cuts.com to redirect to mattcuts.com. And the reason is that when you’ve got things that are really, really close, maybe only a hyphen is different or maybe mattcuts.net. A lot of people expect that to really be the same site. So if you’re doing an addon domain where you’re registering multiple domains, my advice would be twofold. So they have different branding, different domain name, you can tell at a glance that they’re really different, and then develop them as truly independent sites, you know, all sorts of different templates and layout, functionally, that sort of thing. Or, the other direction you can do is you can go ahead and buy the typos or the common aliases or the other things that you think someone might type when they’re trying to type your domain name and make that do a 301 redirect to your website. So, this goes a little bit towards the idea of, you know, how many sites can I have before I start to look a little bit unusual or artificial, or something like that? And certainly, we’ve seen plenty of sites where they may have two or three different domain names. Maybe one is targeted to men’s clothing, one is targeted to women’s clothing; one is related to children’s clothing. You can have those and have those linked and have them still be separate and have them be branded a little bit differently and not have that seem too artificial. But think about what if a competitor was looking at your website and they saw a whole ton of links down in the footer, down at the bottom and it really was not that much differentiation between them. Same template, same branding, it was just nothing but keyword stuff domain names. That can look a little bit worse. So whenever the question comes in about addon domains, I would interpret that in a couple of ways. And then as long as you have a very small set of domains, that can still make sense to cross-link them. Or, make sure that all the typos, hyphenated, different utilities, all that sort of stuff, just do a 301 redirect. For example, Google sometimes gets, you know, pornGoogle, or, you know, we go through domain registration where we go through arbitration and get domain names that people registered with Google in them, and Google will take those and just do a 301 redirect. So that’s kind of a very comprehensive answer to your question. And that if you want to do domain names as sort of a package deal, I would either make them a little bit separate and develop them separately or, if they’re very similar, go ahead and do a 301 redirect. Both can make sense. The one thing that I would avoid is making a ton of sites where they’re all auto-generated and they all look just a little bit spammy because you’re not really putting any time or love or attention into individually developing those domains.